Teaching a child to read can seem like a daunting task. I have taught my three youngest daughters to read at home and now my son is in the beginning stages and learning his alphabet letters and sounds. Did you know that Veritas Press now offers their Phonics Museum program as a Phonics Museum App? 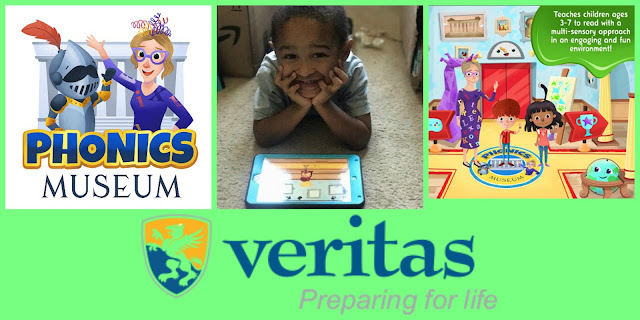 Veritas Press is a Christian publisher that is a leader in Classical education and offers literature based curriculum for classical education. They wholeheartedly believe that classical Christian education is the best way for children to reach their full, God-given potential. From this belief the founders and the company are dedicated to providing the best learning tools for educating your children . . . One Young Heart and Mind at a Time! Now, we normally limit technology use during the school week as much as possible but I have to tell you this app is one that I do allow Micah, 3, and McKenzie, 7 to play daily even just for 20 minutes. 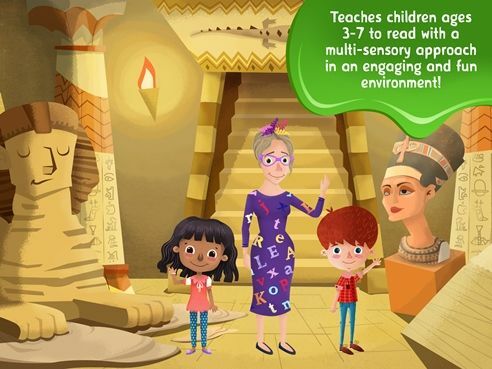 This app makes learning to read and reading an engaging process. With fun characters and eye catching graphics your child will explore each level of the museum and begin to read. Getting started is super easy! Just download the app and choose between Wendy or William to be your guide along with Percival, a young knight. To round out the cast of characters you are introduced to the museums curator, Miss Biddle, who always has a catchy song to offer or fun games to play to help teach all the rules of phonics in the English language. 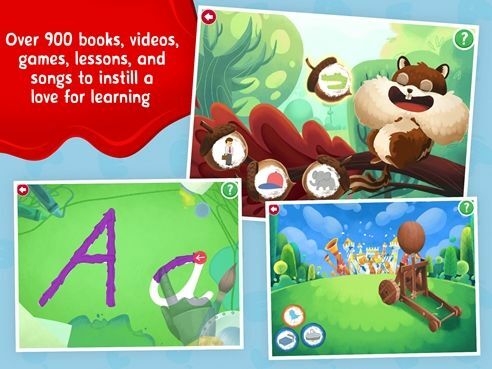 This app works well for all types of learners including visual, kinesthetic, and/or auditory learners because of the wide variety of activities available within the app. With regular use of the app your child will learn all of the phonics rules with the help of Wendy or William, Percival and Miss Biddle. Your child can begin to read the included beginning reading books in as little as four weeks. As I stated earlier, I let McKenzie (7) and Micah (3) use this app daily during our review period. They are both in the target age range for the app so it was a win-win for us. 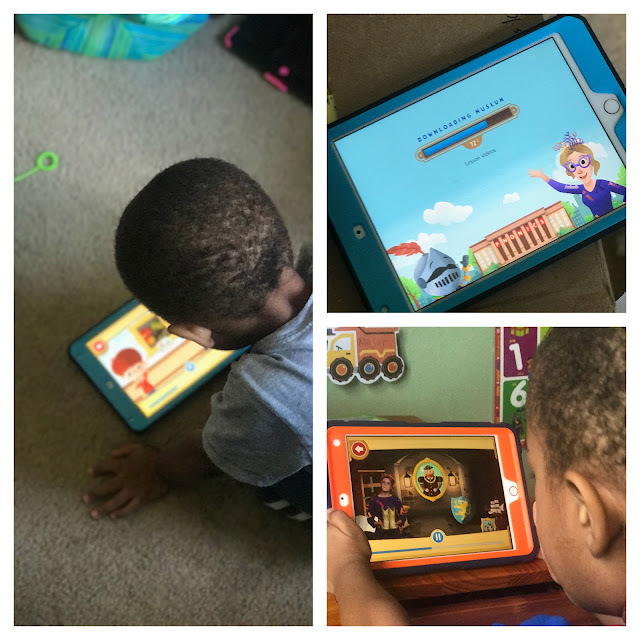 McKenzie already knows how to read so we used the app to review phonics skills were she is weak while Micah is just beginning to learn his letters and the sounds they make. I installed the app on both my iPhone and iPad mini for them to use at the same time. When logging in for the very first time the child gets to pick a unique to them avatar, enter their name, and pick whether they want to be Wendy or William. After that you begin your journey through the museum, which is really awesome! Especially since we are studying Ancient History this year and their are ancient artifacts that show up around the museum. Each child begins with learning the letter "A". Once a letter is mastered you receive an email in your inbox saying that they mastered the letter and are ready to move on to the next one. There were no complaints from either of my children when it was app time. The only argument was who got to use which device. So does this sound too good to be true? Well, it's not! 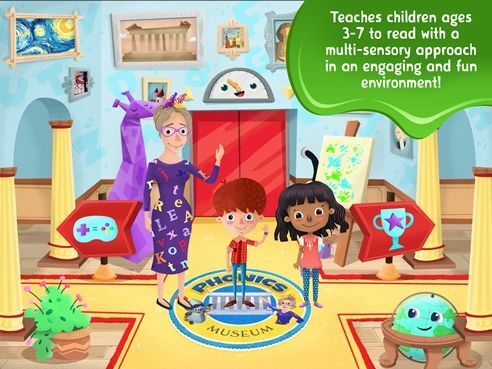 Membership to Phonics Museum includes unlimited access to the app on any device and allows you to have up to three students working through the program. Membership is just $9.99 a month if you like it, and trust me you will not only like it, you will LOVE it! You can even take a trial of the app for free access for two weeks! Membership fees are charged to your iTunes account automatically each month unless you cancel. For more information be sure to check out their FAQ page to have all your questions answered. We love this app! I have no problem letting my children play this app daily. I love that I am sneaking in learning while they are having fun. I truly think you should check this app out for yourself, I think you will love it as much as we do! Also be sure to check out what my CrewMates thought of this app by clicking the banner below!